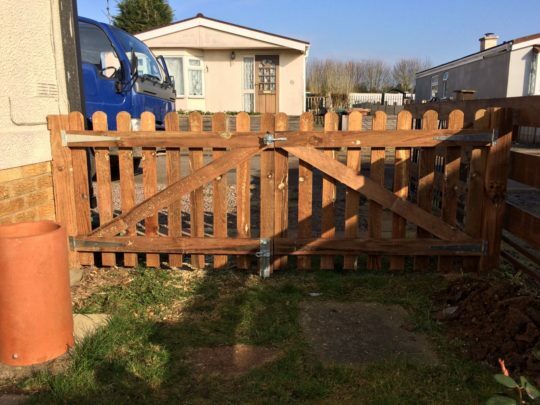 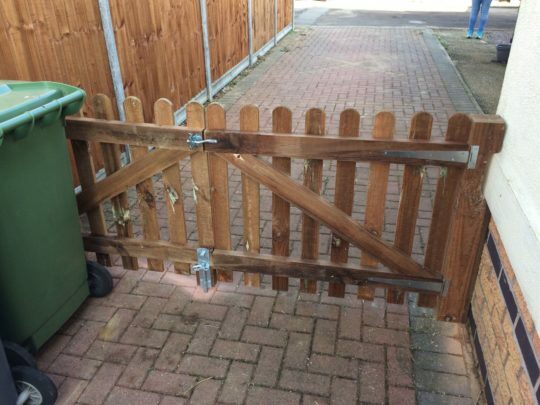 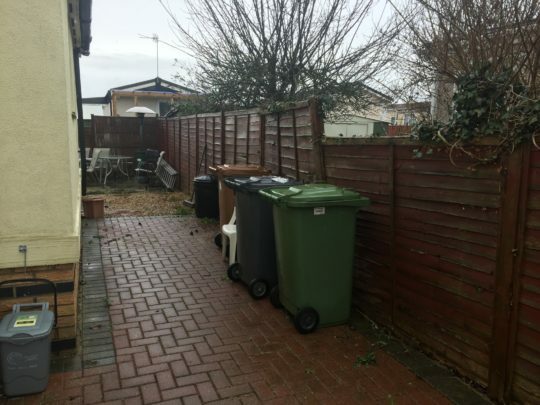 The customer wanted to remove a picket fence at the front of the property, replace old fence panels at the side of their driveway and install two new driveway gates. 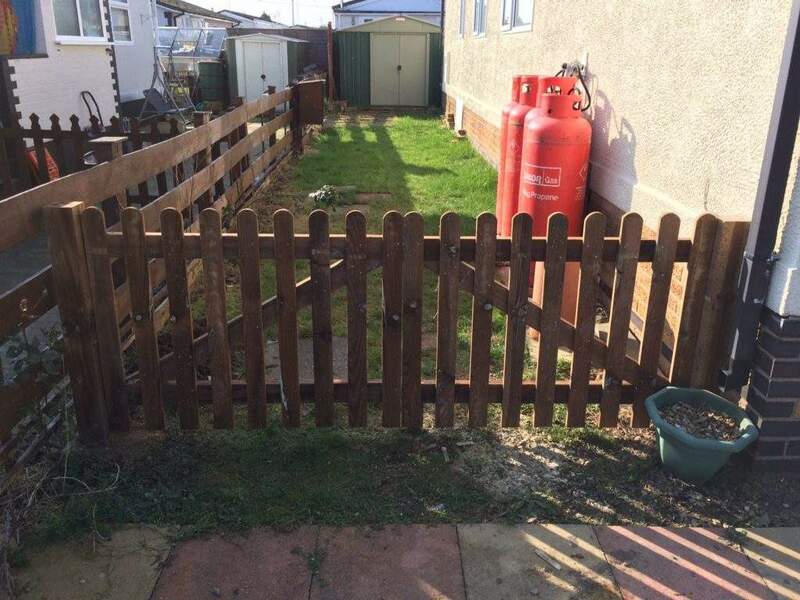 We installed new featheredge fencing on concrete posts down the side of the property, two of which we 4ft panels to keep inline with the landlords requirements. 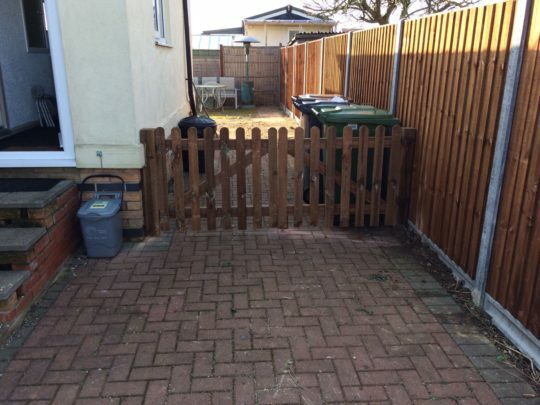 We removed the installed picket fence to improve parking, made and installed two new driveway gates with one set going in a slightly further back location.